The 1st Riyadh International Humanitarian Forum will take place in Riyadh, Saudi Arabia on the 26 and 27 of February 2018 under the patronage of the Custodian of the Two Holy Mosques, King Salman bin Abdulaziz Al Saud. Organized by the King Salman Humanitarian and Relief Centre (KSrelief), the forum is the first of its kind to take place in the Kingdom, building on previous global humanitarian events to address changes to the humanitarian landscape and to formulate new practical and efficient responses which reflect the changing needs on the ground. Bringing together professionals and key decision-makers from across the international humanitarian community, the two-day forum will be attended by high level global representatives from the United Nations, international and national NGOs. H.E. 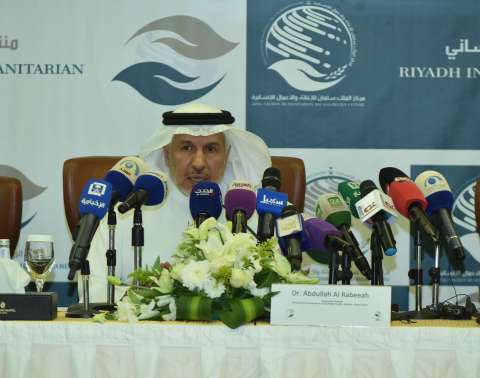 Dr. Abdullah Al Rabeeah, Advisor – Royal Court and Supervisor General of the King Salman Humanitarian Aid and Relief centre, said: “Historically, the Kingdom of Saudi Arabia has taken on a pioneering humanitarian role in serving the international community around the world. The Kingdom realizes the significance of its role in alleviating human suffering and ensuring that all people are given the opportunity to live healthy, dignified lives. To further emphasize their dedication to the service of all in need, the leadership of Saudi Arabia established the King Salman Humanitarian Aid and Relief Centre; its purpose is to provide and monitor the delivery of humanitarian aid and relief to those in need outside of the Kingdom’s borders.